Eighty-four law schools reported that 16,502 law students in the class of 2018 contributed more than 3.48 million hours in legal services as part of their legal education, an average of about 211 hours per student. Independent Sector, a nonprofit organization coalition, estimates the value of volunteer time to be $24.69 an hour. Using this number, the total value of the students’ time at these schools is estimated to be in excess of $85.9 million. Washington, DC, January 08, 2019 --(PR.com)-- The Association of American Law Schools (AALS) again measured how much law schools contribute to the delivery of much-needed legal services through clinics, other experiential courses, and pro bono activities of law students. In December 2018, 84 law schools reported that 16,502 law students in the class of 2018 contributed more than 3.48 million hours in legal services as part of their legal education, an average of about 211 hours per student. Independent Sector, a nonprofit organization coalition, estimates the value of volunteer time to be $24.69 an hour. Using this number, the total value of the students’ time at these schools is estimated to be in excess of $85.9 million. The schools represent nearly half of the students in American Bar Association accredited law schools in the class of 2018. AALS made the announcement in conjunction with its annual meeting in New Orleans, January 2-6. The Association of American Law Schools (AALS), founded in 1900, is a nonprofit association of 179 law schools. Its members enroll most of the nation’s law students and produce the majority of the country’s lawyers and judges, as well as many of its lawmakers. The mission of AALS is to uphold and advance excellence in legal education. 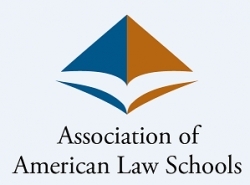 In support of this mission, AALS promotes the core values of excellence in teaching and scholarship, academic freedom, and diversity, including diversity of backgrounds and viewpoints, while seeking to improve the legal profession, to foster justice, and to serve its many communities–local, national and international.